I am from a Pathan family (same ethnic group as Malala Yousafzai, who was shot by extremists last year). In Pathan communities, girls are discouraged from going to school, and they face early marriages. 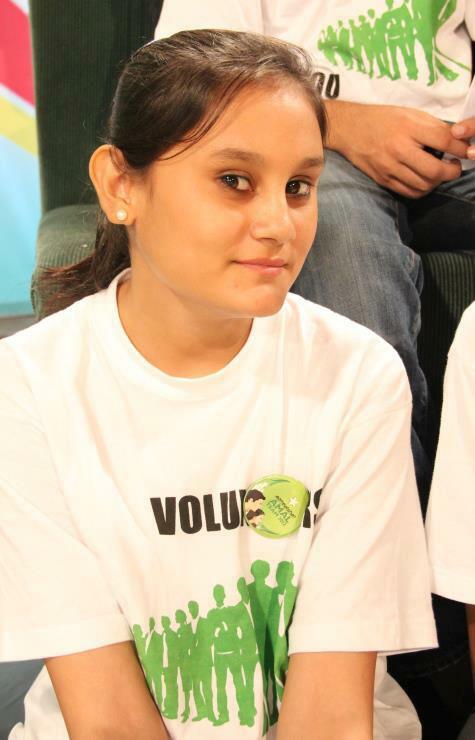 I started volunteering at the age of 14, when I saw the discrimination between girls and boys. I have conducted seminars and facilitated sessions on young women’s empowerment and leadership. I also facilitated training for girls at government schools to help them understand their fundamental rights, as well as help develop their communication skills. I want to continue this struggle for girls’ rights, so that women in my country will also be included in democratic processes in every sphere of life. I want to be a role model in my society and promote education, women’s and girls’ rights, young women’s leadership, and civic education among women and girls. My organization, the Human Resources Organization (HRO), is an NGO formed and led by young, professional, well-educated activists from Pakistan’s Khyber Pakhtunkhwa Province. All of the founding members were under 20 when the organization was created in 2008, so they did not immediately register it, but after two years, they wanted to have a legal identity and expand its work. HRO started its work from human empowerment initiatives and started small, community-based educational institutes, providing free computer and language courses. HRO works with various education institutions to offer scholarships to poor students. HRO also works to improve the lives of poor students, child laborers and street beggars by providing skills-based training in things like automobile repair and the beautician field. Today, HRO is a leading organization for other small-scale organizations. It also works on initiatives like advocacy and capacity building for SRHR and HIV/AIDS. HRO is harnessing the strong support of young people to work on anti-drug and harm-reduction awareness campaigns through different media outlets and networks. HRO involves young people in policy-making dialogues and supports them to raise their voices for their rights. The Asian Girl Rights Ambassador program will be an opportunity for me to increase my exposure and experience, allowing me to learn from people around the world on how to fight for people’s rights. I will also share my experience of people in my country, so that others can understand our situation too. I will share my knowledge about my community work, how we face gender discrimination, how I implement my projects in the community, and the issues I face in my work, which arise from the negative stereotypes about girls who are active in the community system. 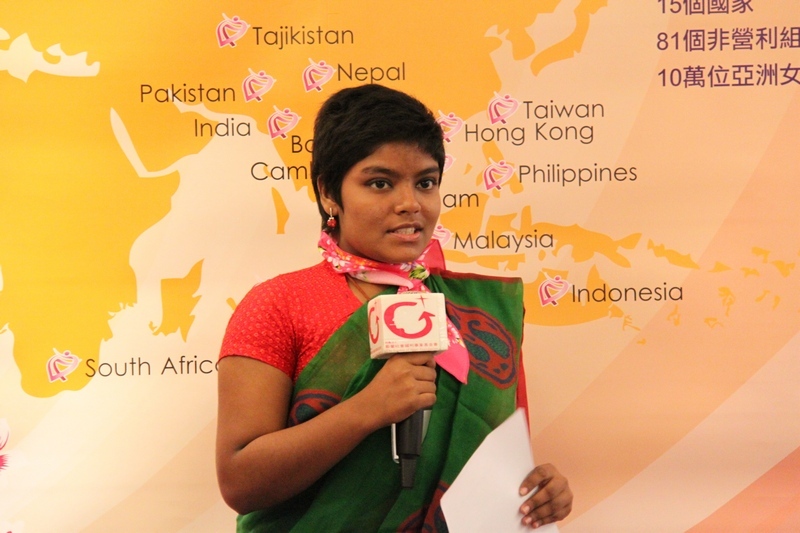 Shah Vashwati Madhurima is a 17-year-old Bangladeshi student and girls’ rights advocate. She was 2012’s Asian Girl Ambassador. She works with NUK (Nari Uddug Kendra), a national organization that promotes gender equality, human rights and the personal empowerment of women and girls. Shah serves as the NUK Student Forum general secretary in her home district of Kishorganj.